Witty. Eccentric. Entertaining. In the busy run up to Christmas, where life is hurtling by at a festive pace, the production of Goldilock, Stock and Three Smoking Bears is a welcome break from our world of consumerism and competition. Instead, you are welcomed into the world of Goldilock the minute you enter the theatre, a world that can be truly bizarre at times, but always extremely funny. 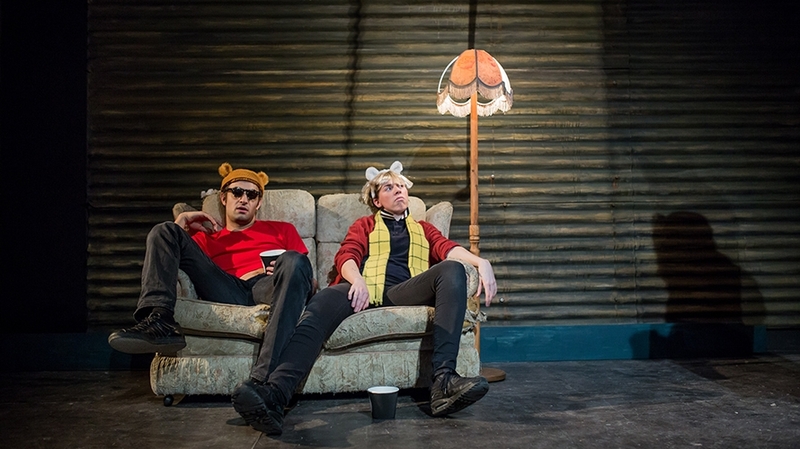 As the title suggests, this production is an adaptation of the classic fairy tale set in the East End with Goldilock running a failing market stall, finding herself in debt to a mob boss and tasting the porridge of three tripping elitist bears. Four extremely versatile actors, particularly talented in improvisation, multi role a variety of characters, from the parody of a mob boss to a screeching Scottish oats porridge maker. The actors’ dedication creates such a definition between each character that it is easy to forget that there are only four of them, and not a larger company. The director has chosen to mix a variety of styles such as physical and musical theatre, all of which create a memorable and aesthetically exciting performance. The characterisation of the three bears had the audience in hysterics with Rupert’s flouncing dominance, Winnie’s obvious drug addiction and Paddington’s blue blooded naivety. Goldilock herself was an endearing young cockney, with the mouth of a sewer and an ability to interact easily with the audience. Whilst she voiced the flaws of the original Goldilocks (selfish, lazy, nosy…) we couldn’t help but sympathise with this young girl, wanting her to have her very own happy ending. over the location of one particular, soiled, chair. Whilst the original story is referenced, or mocked for its absurdity, in places, this tale of Goldilock is much more interesting. The fairy tale element has been wholeheartedly removed and replaced with surreal slow motion montages, scenes that suggest deviant sexual behaviour amongst bears and wonderfully colourful language and it’s a combination that truly works. Not all theatre should be fourth wall naturalism and it was refreshing to witness a piece that, to me, didn’t always make complete sense, indulged in risqué subjects and made me laugh throughout. Would I recommend paying this production a visit? F*** yeah me ol’ mucker!